« New Merch at the Merch Empire! 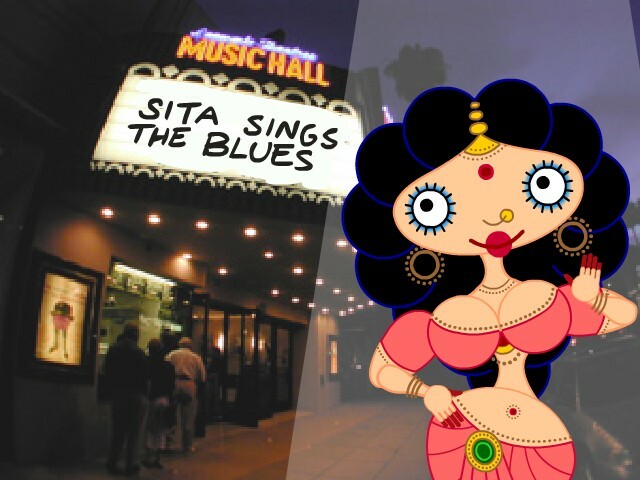 3 comments to Sita in L.A.! I watched Sita last night. I have to say, it was amazing! I have read the Ramayana and your telling of it was awesome. Not to mention, the music and animation was beautiful. Good work! I am recommending this film to everybody I see!!! Thank you so much for bringing something like this to a nearby theater. I had never heard of your movie and was intrigued by the email ASIFA had sent to me to go see it. As an aspiring animator, I cannot ever truly express how utterly astounding an accomplishment this film is. Your ability to produce art of this magnitude, with the means that you did is possibly one of the most inspiring artistic feats I have ever seen, and one that certainly puts to shame the prolific-ness of any animator living today. It makes me sad that work like this doesn’t get more noticed, when it’s so obviously the best of its kind. Please keep up your DRM-free principles and good luck with all of your future endeavors, I’ll definitely be watching out for your work from now onward. Love your movie Nina! Watched and enjoyed it immensely at IFFLA last year and am delighted it is in LA. What a shame it’s such a short run and only in 1 theater! I was trying to buy the CD to send to my parents in Malaysia, but found that it doesn’t ship to Malaysia. No Malaysia listed in drop down list of countries when I try to key in the address. Congratulations on what you have achieved against tremendous odds and bravo for your perseverance. Thank you for a magical, wonderful experience. I am an actor and voice over artist, of Indian descent from Malaysia now based in LA. Met one of your friends Krupali (sp) at IFFLA this year. If you are ever in LA and if there is anything I can do to help I would be delighted to meet and to assist in anyway.